Two weeks have past since the result of the EU referendum here in the UK was announced. As we now know, recent days have seen a lot of things in British and European politics that no-one could have predicted. The markets too, have seen the FTSE swing dramatically one way and then the other - so much so, that despite the initial sharp drop, the index recovered and has actually made new highs for the year. The week before the vote, in our regular group webinar, I talked about this major 'known unknown' that was upon us, and the potential for market movements that few people who have started their involvements in the markets since 2008 will have seen or comprehended. 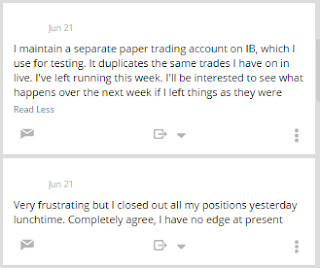 My last blog post also touched on these issues, and advised traders to evaluate the potential downside risk on being on the wrong side of the market. One trader I have been helping grappled with this issue in the days running up to the vote, and ultimately determined that he would 'switch off' his own automated trading system. He concluded that, while he had great faith in his own system (which is completely different to my own), he accepted that he had no edge in such a situation, and was prepared to step to the sidelines. 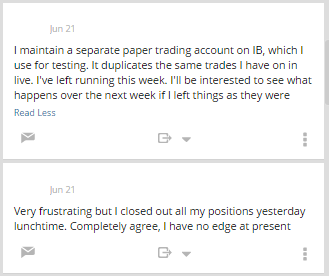 Speaking to him since then, he stated that he had ended up with a mixture of both short and long positions when he decided to terminate those trades. 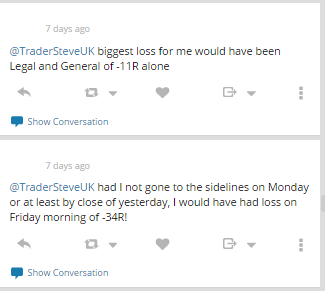 That cumulative loss would have taken into account any profits from the short trades he had open, so as you can see, there was potential for a major loss! 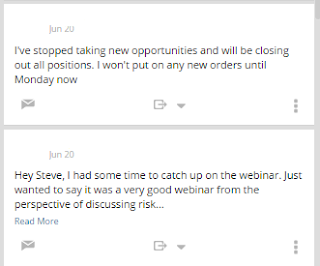 We discussed this further and he likened his approach to opening new trades in a stock immediately prior to an known earnings release, or a day trader taking a position just ahead of Non-Farm Payrolls. 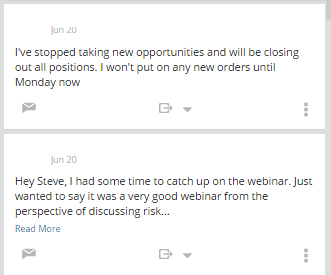 Only now is he starting to get back into the market - he switched his system back 'on' earlier this week after the volatility had started dropping. 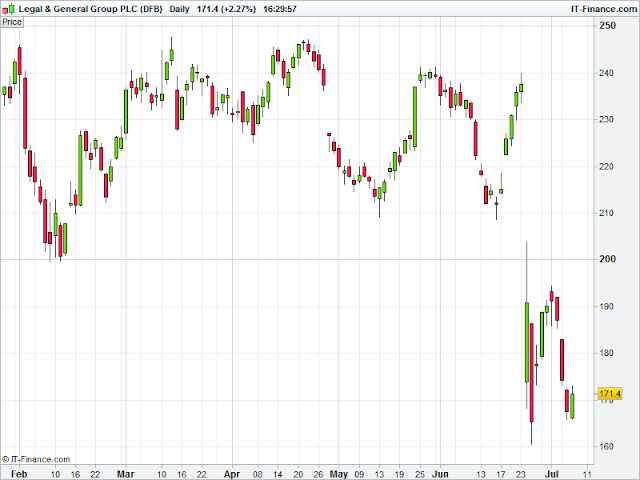 Remember that the job of a trader is to preserve capital and minimise risk wherever possible. If a trader has a method with a positive expectancy, then the rewards will come given time. There is no rush to become a millionaire this time next week. You need to ensure that you stay in the game, and avoid the major drawdowns in your account. This was not about determining whether one 'method' of entering and exiting is better than another. This is about evaluating whether the potential rewards are worth the risks when there is a major 'known unknown' present, particularly where the potential downside could be violent, resulting in big losses. As for me, I made it clear on my last blog post that I had no edge, and I certainly didn't see the vote being as clear cut as others. So I was fully out of the market. Yes, no doubt there are plenty of people who did make lots of money on those market movements, but my own approach was not geared towards it. The other point to consider in this situation was not only the initial market reaction to the result, but also whether there would be any subsequent intervention in the markets. Now, people who utilise an automated or systematic approach would say that you should avoid overriding or second-guessing your method, and 99.9% of the time I would agree. However, when there are these exceptional market events, then it can be beneficial to just get out of the market. I can think of one such precedent for this - the day after the 1987 stock market crash. 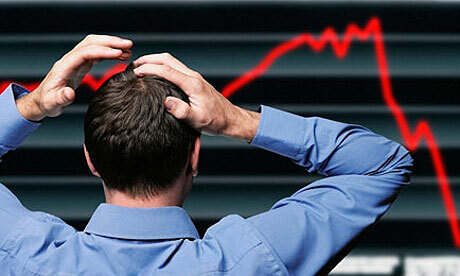 The US Government intervened in the markets overnight and caused massive slippage in certain instruments. In this book Way of the Turtle, Curtis Faith talked about how he suffered a 60% drawdown (!) in the account he was trading for Richard Dennis as a result of major price gaps against the prevailing trend - essentially he lost his profits for the year because of the US Government's actions overnight. William Eckhardt talked about this event, and how he overrode his system with his Eurodollar position (which wasn't acting as he expected) at that time in his New Market Wizards interview. 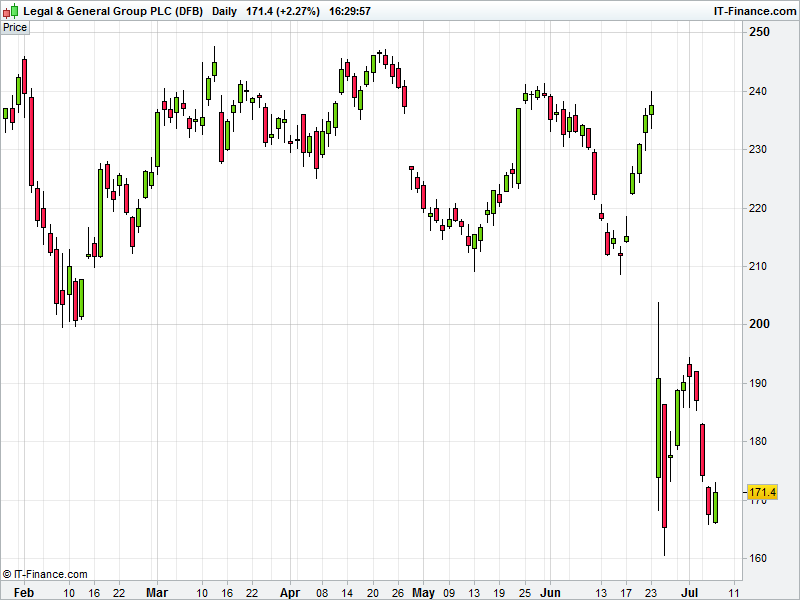 This action meant he avoided that major slippage in that market. And what if you DO get caught out on the wrong side of a major move? Although not a trend follower, Marty Schwartz talked in Pit Bull about his own experiences of the '87 crash, and how, once he bailed out of his losing positions early that day, he stayed out of the market. "I figured that I'd lost about $2 million, which was horrendous, but at least I was out, and I couldn't lose any more. I was gravely wounded, but I'd stopped the bleeding. According to the US Marine Corps, even a retreat can be an offensive move, because you're saving yourself for another day. That's what I was doing, retreating and saving myself for another day." Fearing the collapse of the whole system, it was then that he decided to go for the gold (again). With the EU referendum, there were one or two rumours I read which stated that the Chancellor was considering suspending trading on the London Stock Exchange on the Friday, should the vote be for 'Leave'. As it was, this was never acted upon. As Ed Seykota says, you need to follow your rules, but also know when to break those rules. Not all major 'known unknowns' can cause such major movements. We had a similar situation here in the UK back in September 2014 when there was the referendum on Scottish independence. On that occasion, the status quo was kept in place, and there was no major market reaction. But again, it comes back to each trader needing to evaluate the potential rewards and the attached risk.